1842: America's "oldest public art museum" opens. The oldest public art museum in the United States' is the Wadsworth Atheneum Museum of Art in Hartford Connecticut. In November 1931 the museum held the first exhibition of Surrealism in the United States, "The Newer Super-Realism." June 25, 1865: Robert Henri is born. Henri was a Realist artist. Although the Abstract Expressionists would rail against Realist art, the 'Realist' works they objected to were the safe, soft images of some U.S. artists that veered toward the idyllic and were popular with the American public during the early 20th century - rather than the often bleak (and sometimes political) imagery of Robert Henri and John Sloan which, prior to the success of abstract art in the U.S., was considered to be fairly radical. In 1908 Henri organized a travelling exhibition of The Eight - a group of Realist artists (including Sloan and Henri) which evolved into the "Ashcan School" - so named because of the unglamorized, urban imagery of the artists (see John Sloan's entry below and February 3, 1908). Robert Henri was born Robert Henry Cozad in Cincinnati Ohio. His father, John Jackson Cozad, founded two cities in the midwest - Cozaddale, Ohio in 1871 and Cozad, Nebraska in 1873. In 1882 John Jackson was indicted for murder in Cozad after shooting dead a rancher during a dispute about pasture rights. Although as the founder of the town Henri's father was cleared of wrongdoing, the family moved to Denver, Colorado in 1883 and adopted new names. Robert Henry Cozad became Robert Earle Henri. Henri studied both in the United States and Paris where he was exposed to Impressionism. His early works were impressionistic. In 1909 he opened the Henri School of Art in Lincoln Arcade, New York and in 1915 he began teaching at the Art Students' League. Stuart Davis was one of his students at the Henri School in 1910 (SD200) and Adolph Gottlieb studied under Henri at the Art Students League during the winter/spring of 1921. Although mostly associated with New York, he also spent time in New Mexico and California. Henri died of cancer in New York on July 12, 1929. 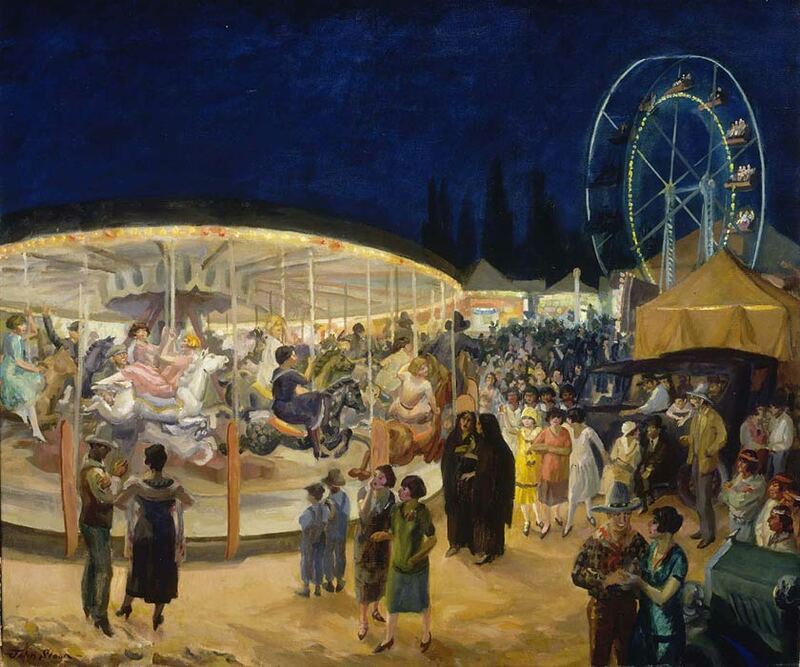 August 2, 1871: John Sloan is born. Realist John Sloan was born John French Sloan to James Dixon and Henrietta Ireland Sloan in Lock Haven, Pennsylvania. He was one of the original members of The Eight. He first met Robert Henri, the organizer of The Eight, in 1872 at a party given by Charles Grafly. One of Sloan's high school classmates was another member of The Eight, William Glackens. Sloan came from a journalistic background. He started working for the art department of the Philadelphia Inquirer in 1892 and left the Inquirer in 1895 for the Philadelphia Press. (During 1895 he also became the art editor of Moods: A Journal Intime). He left the Press in 1903 but continued to make the "word charade" puzzles for the newspaper until 1910. In January 1912 he joined the Socialist party and became the Acting Art Editor of the left-wing journal, The Masses, in December. In November 1912 he ran for the New York State Assembly on the Socialist ticket. He resigned from the party and stopped contributing to The Masses in 1914. 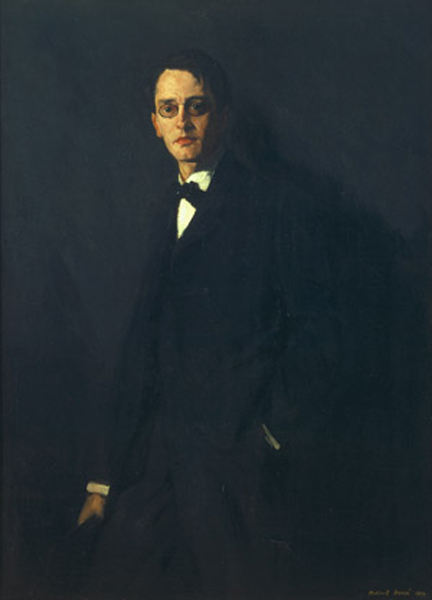 In 1916 Sloan began teaching full-time at the Art Students League in New York and in 1931 was elected the president of the League. His students at the League included Alexander Calder, John Graham, Adolph Gottlieb and Barnett Newman. (DR) Jackson Pollock studied under him briefly at the League in 1933 after Pollock's friend and teacher, Thomas Hart Benton, left the school to work on a mural about the history of Indiana for the Chicago World's Fair and Sloan took over Benton's class in Mural Painting. (DS63/JF30) Pollock wrote to his father at the time, "We have a substitute [John Sloan] who I think little of, and I probably won't stay with him for long." (JP63) Pollock dropped out of the class, and the League, less than a month later. Sloan also spent a considerable time in Santa Fe, Mexico, like his older colleague, Robert Henri, and championed Mexican artists such as Diego Rivera and and José Clemente Orozco. February 20, 1872: The Metropolitan Museum of Art opens at 681 Fifth Avenue in New York. May 1875: Jackson Pollock's mother is born. Jackson Pollock's mother, Stella May McClure, was born in a two-room log cabin in Tingley, Iowa. She quit school in the sixth grade in order to help raise her 6 siblings - two of whom died in childhood. Her father was a mason and carpenter. Her mother had a reputation as a weaver and Stella similarly became known for her skillful sewing abilities. She quit school in the sixth grade to help support her family. By the time she reached her teens she was making dresses which she sold to the wealthier women in town. When, at the age of twenty-six the unmarried Stella discovered she was pregnant she left town and moved to Denver to live with her sister, Mary. Her first child, Charles (Cecil), was born on Christmas Day, 1902. Two weeks after the birth she moved to Alliance, Nebraska and married the father of her child, LeRoy Pollock, on January 13, 1903. After the marriage they moved to Cody, Wyoming. Stella never told her children the truth about the pregnancy. She told them that LeRoy had courted her on moonlit sleigh rides and that the entire town had turned out for her marriage in Tingley. LeRoy Pollock was an orphan. His sister and mother had both died when he was three and his father had placed him in the care of neighbours before moving to Missouri. Leroy never saw his father again. The neighbours who took in LeRoy were James and Lizzie Pollock who raised him and officially adopted him ten days before he turned twenty-one. He had attempted to change his name back to his birth name, McCoy, before marrying Stella but couldn't afford the legal fees. 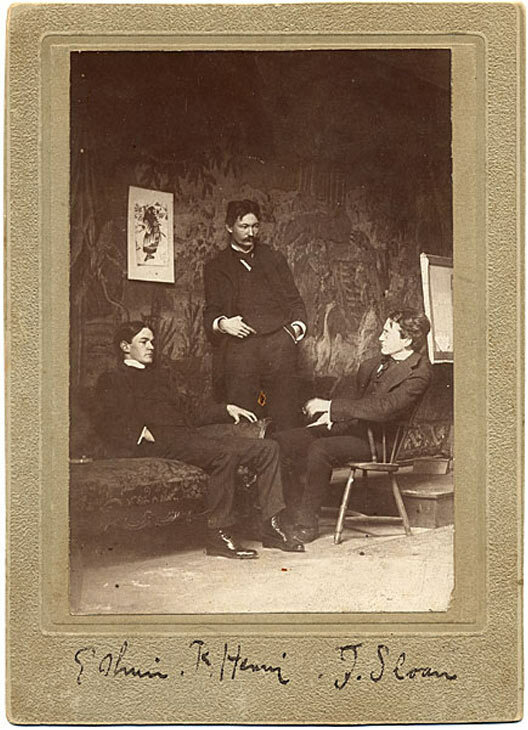 July 1875: The Art Students League is founded in New York. Instructors at the Art Students League included Realists Thomas Hart Benton and John Sloan and, during the early thirties, the abstract artist, Stuart Davis. Students included Jack Tworkov, Jackson Pollock, Mark Rothko, Adolph Gottlieb, Peter Busa and John Graham. Arshile Gorky was a frequent visitor to the school although never officially a student or teacher there. Phillip (sometimes spelled Philip) Pavia was a student at the League from 1931 to 1933 and recalled that "Gorky would be in the lunchroom every day, together with Stuart Davis. Davis talked out of the corner of his mouth, and we were kind of scared stiff of him. 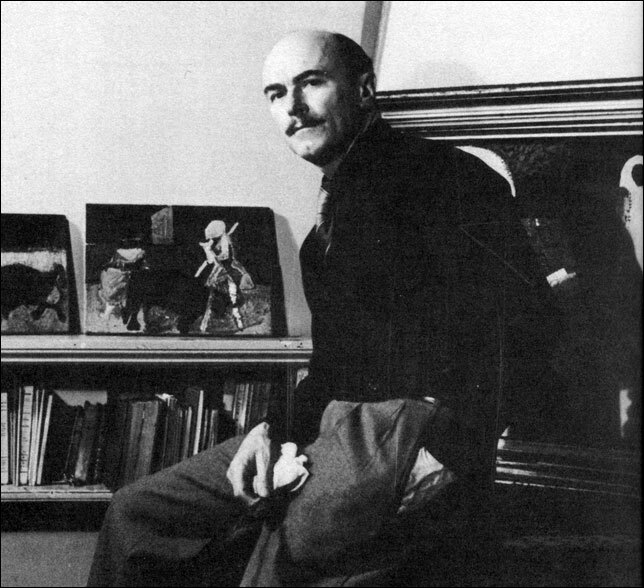 Gorky was very sure of himself in those days... We would listen to the man all the time." The League was started after it was rumoured in the spring of 1875 that the National Academy of Design (often referred to as simply the "National Academy") was canceling all classes until December due to financial difficulties. Students were particularly concerned about not being able to work from live models. 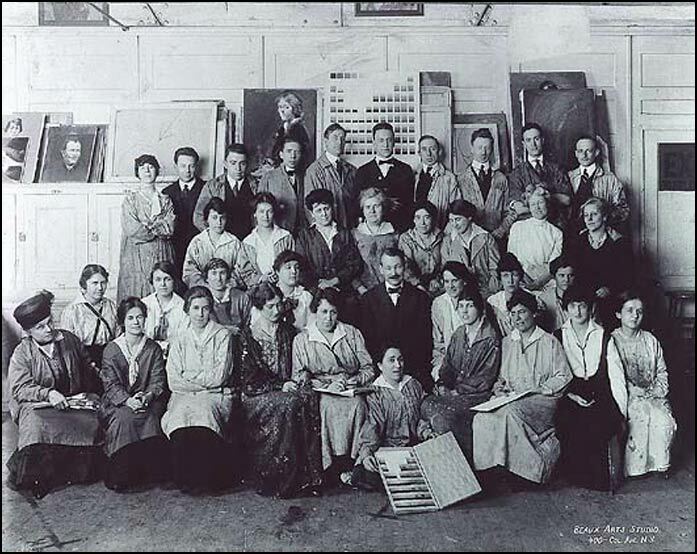 They met with the drawing instructor, Lemuel Wilmarth, and the Art Students League was formed. All Art Students whose characters are approved of, are eligible for membership, and... all persons receiving this circular are cordially invited to correspond with the Secretary of the Society with the view of becoming members. 1886: John Graham is born. John Graham was born Ivan Gratianovitch Dombrowski in Kiev, Ukraine. He moved to New York in 1920. Born in Kiev, the offspring of minor nobility on both his father's and his mother's side, [John] Graham had grown up in a huge stone mansion surrounding a cobbled courtyard. He had studied law at the University of Kiev and attended a cavalry school. When Russia entered World War I, Graham, by his own account, joined the Czar's Guards and fought with such distinction that he earned a medal, the St. George's Cross. He also married, the first of five marriages. (His first wife was later the surveyor of iconographic art for all of the Soviet Union.) During the revolution, Graham claimed to have fought as a counterrevolutionary and to have been briefly imprisoned before escaping to Warsaw. He subsequently rejoined the counterrevolutionaries during the Crimean uprising, he said, and when that revolution also collapsed, came to America. This was probably one of Graham's innumerable fabrications; or at least one of his highly coloured memories. It is more likely that, in 1920, he simply fled west to Warsaw and then to America, leaving one wife behind and taking a second along with him. Graham's projected "self," whether or not it was made up, was one of high romantic superiority and absolute commitment to modern art - qualities in short supply among American painters... According to the artist Ludwig Sander, "You always knew immediately when you walked into a room with Graham in it that he was the superior being in the room." Tall, with piercing eyes, strong Slavic bones, and a shaved head, Graham had... the well-developed physique of a wrestler that, as a narcissist of the first order, he was rarely reluctant to exhibit. He would doff his clothes at the slightest excuse. Few dared to challenge or even question Graham's grandiloquent pronouncements... As he himself said, "I ask nothing of man, except an implicit obedience. When men criticize my work and attack me, I know how to answer in a most devastating way." ... More importantly he left the impression that artists were the true aristocrats... He had become a serious student of art only in 1920, when he enrolled at the Art Students League and studied with the American artist John Sloan, one of the prominent members of the Ash Can school. But he traveled back and forth to Paris frequently throughout the 1920s, where he kept up with the latest developments in art. Like [Stuart] Davis he provided an invaluable link to France for his American friends. The sculptor David Smith later said, "His annual trips to Paris kept us all apprised of abstract events, along with Cahiers d'Art and Transition"... Graham would bring back copies of the two magazines, which covered the evolution of Cubism and Surrealism, to be poured over by his circle in New York. There was no question where Graham's artistic sympathies lay. He was provocatively and absolutely confident that the modern road passed through Paris, and, in particular, the Paris of Pablo Picasso. Graham asserted that Picasso was the dominant master of the twentieth century. He also stressed the importance of Surrealism, another fundamentally modern style that reflected new understandings about he unconscious and the workings of the mind. Graham admired Freud and Jung, and emphasized the liberating role that the unconscious played in the creation of art... Graham's emphasis on the unconscious helped lay the groundwork for the later, highly expressive styles of both de Kooning and Jackson Pollock. John Graham died in 1961 in London, England. 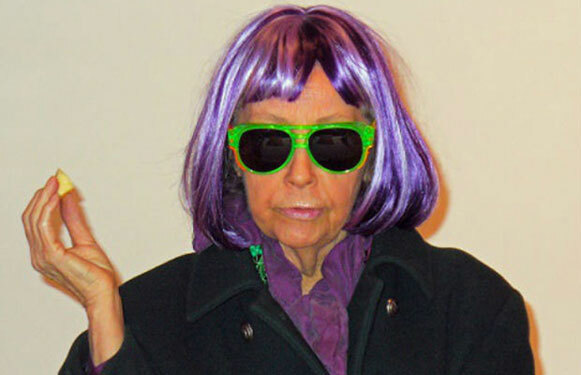 Warhol star Ultra Violet later claimed to have been in a relationship with Graham and there are personal letters from Graham in Ultra Violet's papers held at the Archives of American Art. He is struck by my youth and beauty. I am intrigued by his eager interest. He escorts me to the show. We exchange views on modern art. He is the author of Systems and Dialectics of Art. He is an aesthetician,, a connoisseur, a collector of African art., an early supporter of contemporary American artists. He severs as a link between the European art world of the 1920s and 1930s and the contemporary New York art scene. Because of his phenomenal knowledge of art, he is hired to build collections for private individuals. My tormented relationship with Graham lasts on and off for two years, with stormy breakups and contrite reconciliations. He dies of leukemia in London in 1961. I have a letter from him, dated the day of his death, in which he eerily depicts in detail his passage from this earth. July 28, 1887: Marcel Duchamp is born in Blainville-Crevon, France. Marcel Duchamp is usually referred to as a Dada artist or a Surrealist. 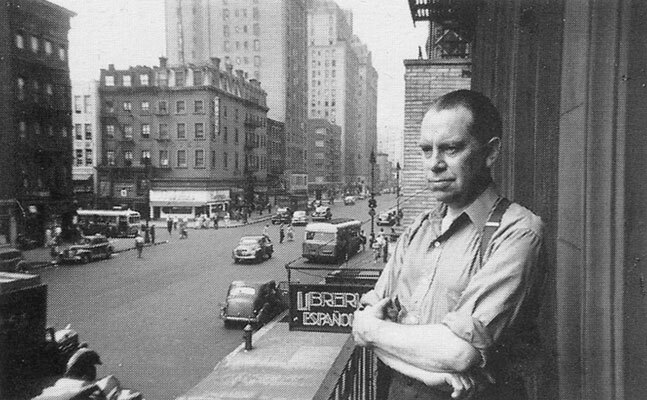 Abstract Expressionist Robert Motherwell would note in 1951 that "there is a real Dada strain in the minds of the New York School of abstract painters, many of whom were influenced by the presence of the Parisian Surrealists in New York during the second world war." (RDxviiii). See Notes on Marcel Duchamp. March 7, 1893: Milton Avery is born in Altmar, New York, United States. December 7, 1894: Stuart Davis is born in Philadelphia. Stuart Davis' father, Edward Wyatt Davis, was the art director of the Philadelphia Press - the same newspaper that John Sloan worked for. Like Sloan, Davis would also teach at the Art Students League (spring 1932). Davis' mother was a sculptor, Helen Stuart Foulke Davis. In 1910 Davis studied art at Robert Henri's art school in New York and during the same year exhibited for the first time at the "Exhibition of Independent Artists." In 1913 he had five watercolours in the "Armory Show." 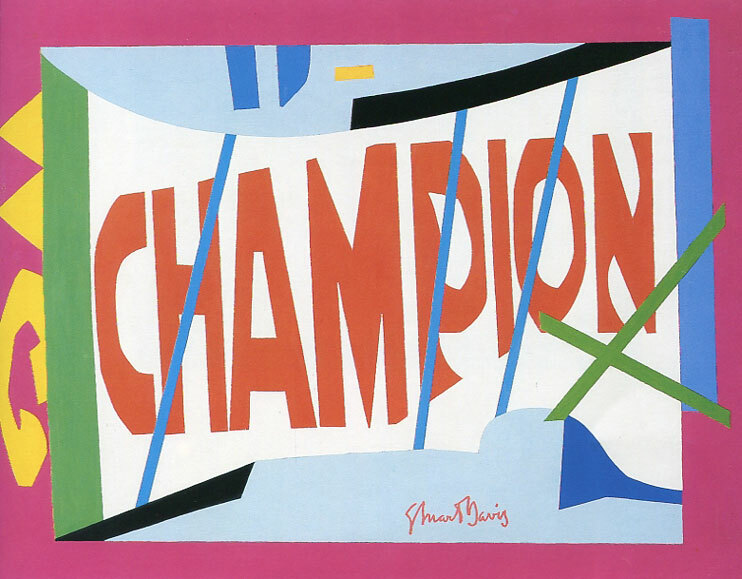 Davis was an abstract artist who sometimes incorporated realistic imagery (such as cigarette packets and letters and numbers) into his paintings. His early works were realistic, often painted in an Expressionistic manner. During the 1920s his work became increasingly abstract as he replaced representational imagery with hard-edged forms and blocks of color as in his Egg Beater series begun in 1927. Because of his use of "found" commercial imagery such as cigarette packets, some of Davis' work could be likened to Pop. See Notes on Stuart Davis. 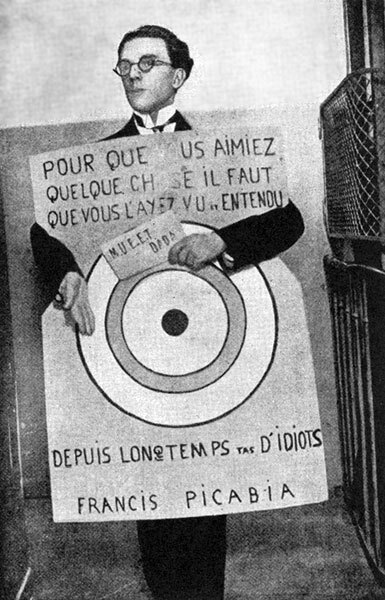 February 18, 1896: André Breton is born in Tinchebray, France. André Breton, the founder of Surrealism, lived in the United States from 1941 through 1945. Many of the Abstract Expressionists, including Mark Rothko and Adolph Gottlieb painted in a Surrealist manner in the early 1940s. Both Rothko and Gottlieb were classified as Surrealists in Sidney Janis' book. Abstract and Surrealist Art, published in 1944. The Surrealist technique of automatism or "automatic painting" has sometimes been linked to Jackson Pollock's drip technique. See ANDRÉ BRETON: Surrealism, Dada and the Abstract Expressionists. Sidney Janis began collecting art with funds from a successful shirt company he started in 1925 called M'Lord Shirts. In 1944 his book, Abstract and Surrealist Art in America was published. He opened his art gallery in New York in May 1948 in a space formerly owned by art dealer Sam Kootz. The opening exhibition was a solo show of work by Fernand Léger. First generation Abstract Expressionists signed to Janis' art gallery in New York during the late forties to the early sixties included Jackson Pollock, Willem de Kooning, Franz Kline, Adolph Gottlieb, Mark Rothko, Philip Guston and Robert Motherwell. After Arshile Gorky committed suicide in the summer of 1948 his wife, Agnes Magruder, moved Gorky's estate from the Julien Levy Gallery to Janis' gallery. During the early sixties many of the Abstract Expressionists left Janis' gallery in protest at his support of Pop Art. The arrival of so many European artists here after the fall of Paris in 1939 had quite an impact on painting in New York. The artists in exile were among the best: Léger, Mondrian, Breton, Duchamp, Ernst, Matta... My book, Abstract and Surrealist Art [in America] was finally published in 1944. It included many artists who had not yet reached their image - works that might be termed Pollock before Pollock, Hofmann before Hofmann, Rothko before Rothko. When I visited Rothko at his studio in 1943... Rothko asked me, 'What section do you think you'll put me in? I would like to be in the Surrealist section.' So at that time, many of the artists had not yet arrived. In hindsight, it seems I selected many of the artists before their time. June 25, 1898: Kay Sage is born in Albany, New York. Surrealist artist and poet, Kay Sage (Katherine Linn Sage) married Yves Tanguy on August 17, 1940. Kay and Yves lived near Arshile Gorky and his family in Connecticut during the year that Gorky committed suicide (1948). Kay was one of the last people Gorky rang before hanging himself. After Yves Tanguy died in 1955, Kay became increasingly morose and attempted suicide in 1959. Although she survived that attempt, she later killed herself on January 8, 1963. August 26, 1898: Peggy Guggenheim is born in New York. Born Marguerite Guggenheim in New York City , Peggy Guggenheim was of three daughters born to American businessman Benjamin Guggenheim who went down with the Titanic in 1912 accompanied by his French mistress, a singer by the name of Madame Léontine Aubart. Peggy's uncle was Solomon R. Guggenheim who, with Hilla von Rebay, co-founded the Solomon R. Guggenheim Foundation in 1937. In 1942, after spending a considerable amount of time in Europe, Peggy opened her Surrealist gallery, Art of This Century, in New York. The Abstract Expressionists who showed at the gallery included Jackson Pollock and Mark Rothko. August 19, 1899: Bradley Walker Tomlin is born in Syracuse, New York. Tomlin was one of "The Irascibles" - an ad hoc group of artists who were photographed for Life magazine on November 26, 1950 after they sent a letter to The New York Times objecting to the Metropolitan Museum of Art's choice of jurors for the "American Art Today - 1950" exhibition due to open in December. Significant group exhibitions during the late 1940s/1950s featuring work by Tomlin included the "The Intrasubjectives" exhibition at the Samuel M. Kootz Gallery (September 4 - October 3, 1949); "Abstract Painting and Sculpture in America" at the Museum of Modern Art (January 23 - March 25, 1951); the "Ninth Street Show" (May 21 - June 10, 1951); the "American Vanguard Art for Paris Exhibition," (sometimes referred to as the "American Vanguard Art for France") at the Sidney Janis Gallery in New York (December 26, 1951 - January 5, 1952) and the Galerie de France in Paris (26 February-15 March 1952); and the "Fifteen Americans" show at the Museum of Modern Art (April 9-July 27, 1952). See Notes on Bradley Walker Tomlin.